Collegeboard.com is announcing that the May SAT Scores for the SAT Reasoning test and SAT Subject tests are now available at College Board. Visit SAT Reg & Scores to see if your SAT scores are available and to send scores to colleges and programs. If you do not have a collegeboard.com account, sign up today. Why Aren’t My SAT Scores Online Yet? Do not panic if you cannot see your SAT score yet. Collegeboard releases most scores on the first score release day which is today Thursday May 24th but a small percentage cannot see their scores online today. In case of this scenario, you will see a message asking you to check back your score at a later date. College board.com suggests that you check back about a week later for your SAT scores and also your full score report. The reason for such late release of scores for this small percentage of students varies. It could be missing information on your answer sheets or maybe some information on your sheet that is inconsitent with your registration information, something that might trigger a red flag. In this scenario, your test will get individual attention to verify all the details and available information. Here is an overview of how the SAT Scoring process typically takes place right from your handing in of your answer sheet to the time your scores are mailed in to the choice of your universities/colleges indicated. 1. After you turn in your answer sheet, your answer sheet and any forms you turned in will be handed over to the College Board’s processing center. 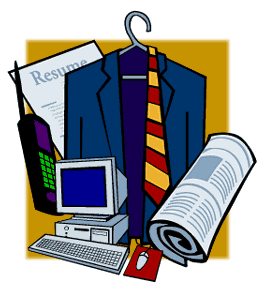 If you are a recent graduate or are changing careers and your volunteer work demonstrates valuable skills, abilities, and qualifications that are not communicated through your work experience, then list these skills and abilities in the appropriate Accomplishments, Capabilities, or Skills sections. Additionally, if you have worked with an organization for a long period of time, consider listing this volunteer experience as you would any other organization in an Experience or Employment History section. Remember, non-paid experience is equally as valuable as paid experience. Should I list volunteer work from religious, political, or ethnically specific organizations? Ask yourself this question, “Is this information guaranteed to create a positive impression?” Political, religious, or ethnic issues should usually be avoided during the hiring process. If you are confident that listing volunteer work of this nature will highlight a positive quality and not run the risk of alienating a prospective employer, include this information in your resume. 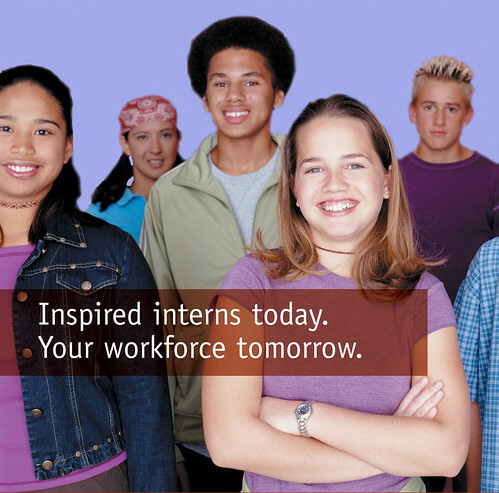 What to do – and what not to do – to impress internship coordinators. There’s still snow on the ground and already the applications are pouring in. I almost can’t believe it–I’m not ready for summer yet, so why is everybody else? The people who coordinate summer internships can be easily overwhelmed by the volume of queries they receive. So here, encapsulated for you, are some tips for making yourself a more attractive candidate by making internship coordinators’ lives easier. They just may reward you with the summer situations you seek. #1. Search the Internet: When you hear of an internship and don’t know much–or anything–about the company sponsoring the position, don’t call the internship coordinator and ask, “So what does your company do?” This is information you should be able to find on your own by doing five minutes of research. #2. Read the listing thoroughly: If you see an interesting internship listing in a school bulletin or on the Web, read it completely before asking questions. Don’t be the applicant who says, “Hi. I saw your listing in Monster and I wanted to know if you offer a salary,” when that information is clearly displayed. Or worse: “Hi, I wanted to know if you have an address?” Yes, I do. Look it up. #3. Follow directions: When you apply, send all the requested information. Check your notes carefully to make sure you’ve included references, project ideas and any other application materials listed in the job posting. If you don’t send a complete application, a busy internship director probably won’t make time to call and ask you for the missing information. Frankly, only you care whether you get a job or not. Sifting through cover letters and resumes is time-consuming; employers are happy to find reasons to eliminate applicants. So if your application is missing information, it may be excluded without a second thought. #4. Write a cover letter: You can use the same cover letter structure for most of your applications, but don’t write a generic letter and simply address it “to whom it may concern.” Show you’re really interested in working for a particular organization by becoming familiar with its goals and products, offering specific examples of how your talents could be used. You don’t have to go into great detail, but dropping in a few careful comments (“…and I’d love to put my HTML skills to work and help redesign your “About” page…”) can set you apart from the undistinguishable competition.